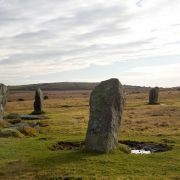 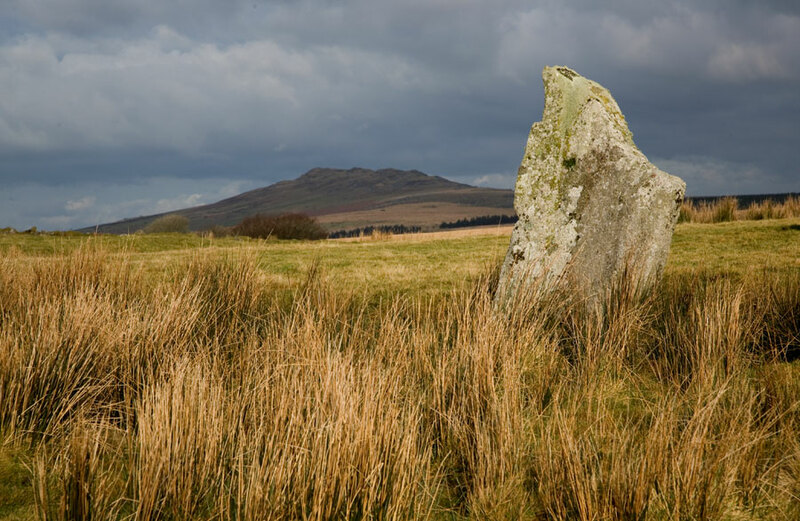 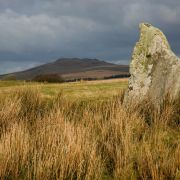 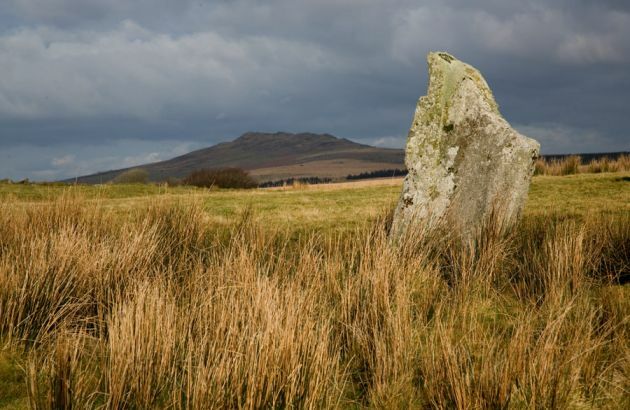 Located on private farmland on Bodmin Moor, this stone circle from the late Neolithic period is unique in Cornwall as it is the only one build within a henge, that is to say a circular earth and stone mound, or at least the only one where the mound is still perceivable. The perimeter henge is much damaged, but measures just shy of 70m in diameter. 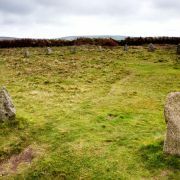 It is calculated that there would have been around 28 stones originally, however only 15 remain and of those all but four are recumbent. 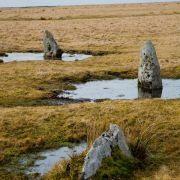 Interestingly, despite measuring up to 2m in height, it would appear that the stones were only ever secured in shallow holes of up to 0.5m deep, no doubt aiding their toppling. 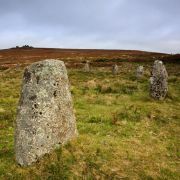 Also, as in many other sites, grazing cattle would have used these standing granite pillars as rubbing posts, evidence of which is quite clear here in the worn ground around their base. 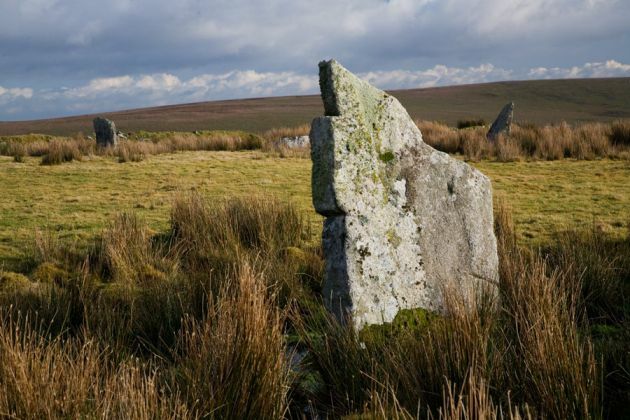 A massive central pillar also lies flat, having once stood nearly 4m tall. 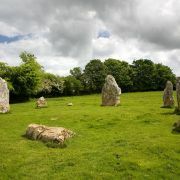 Experts have speculated that from its upright position and looking towards 3 bulges that exist in the outer henge, one would be able to see the Mayday sunset, the Equinox sunrise and the major Northern moonrise, supporting the notion that such stone circles were used for astronomy and calendaring.